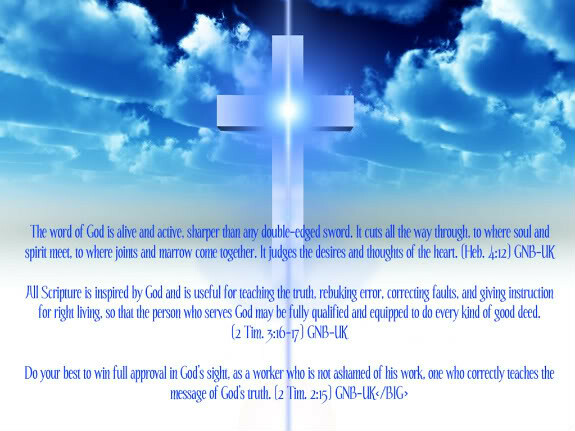 The Sword of the Spirit manifested in the Life of Jesus Christ. The Lamb of God who took away the sin of the world. The following link is to a good news message describing how one can receive eternal life: Ticket to Heaven, it was written for anyone not absolutely certain about their eternal future. You need to be a member of TBD to add comments!